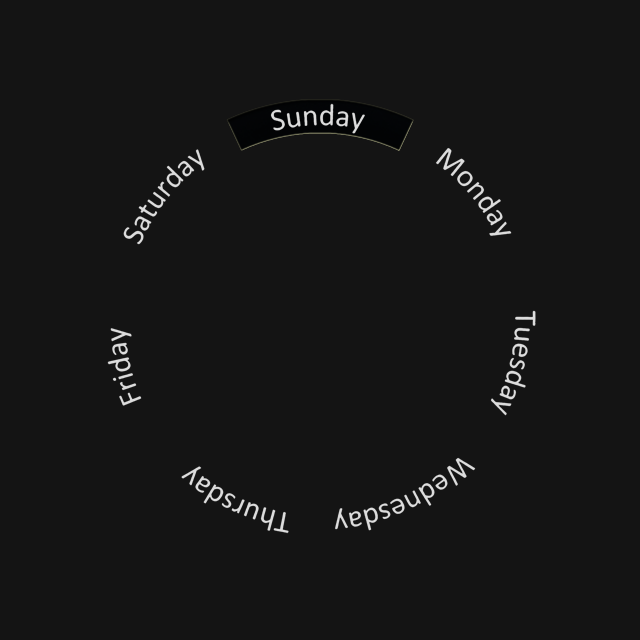 A white text "day of the week" circle. It should also be avail in the tuts section. It's a ways from being finished but the general idea is to make it easy to view for people that use readers (like myself). Next step is to learn how to show only the current day (hide the other 6 days). And I'm hunting for a tutorial about how to make my own day circles because that's a great way to make a watch face look better. In this case to onlyshow one weekday you will need a graphics program like photoshop or gimp to cut off the windows and set the weekday wheel behind. Make a copy of your face background with the tickmarks and all, then cut a hole where the current day is and put that image on a layer above the circle with all of the days. Thanks this sounds easy enough. Learning... slowly learning. Looking good, a nice start! Great advice from the guys above. It is great that you are setting out how to learn how to edit your own images. - with the "magic wand" selection tool ( or similar ) select all of the pixels that make up the date window. You should end up with a selection that is the same shape as the window but it will look a little larger due the feathering of the edge ( it fades gradually to invisibility ). - now, keeping the selection, change to your new cover layer, re-feather the selection to make sure that the edges are smooth, and delete/cut the selection from your layer. 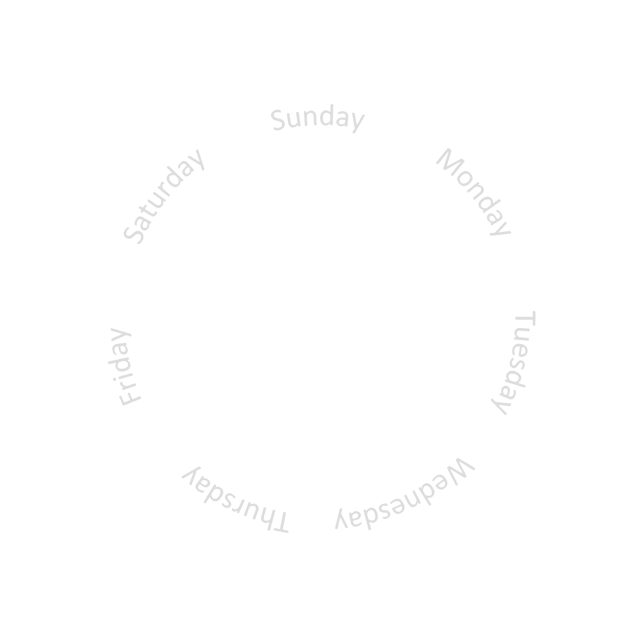 bottom: background layer ( needed because it may be possible to see throught the edges of the overlapping feathered edges between the day window and your new layer ). You can just rely on the background colour for this if you want but only if the colour matches your face. 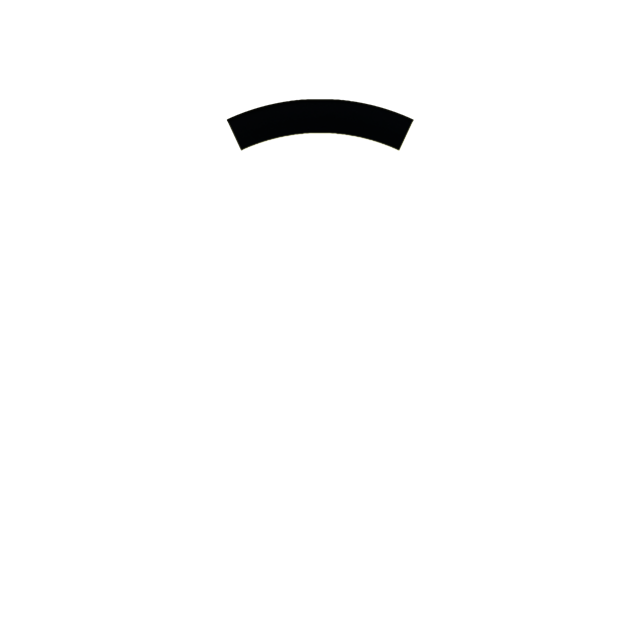 Otherwise, you will need to put a new layer here ( you could simply duplicate the top layer and use that ). If the cut-out in your layer turns out to be too small/large then just repeat as above but expand/shrink the final selection before you cut out the window in your layer.